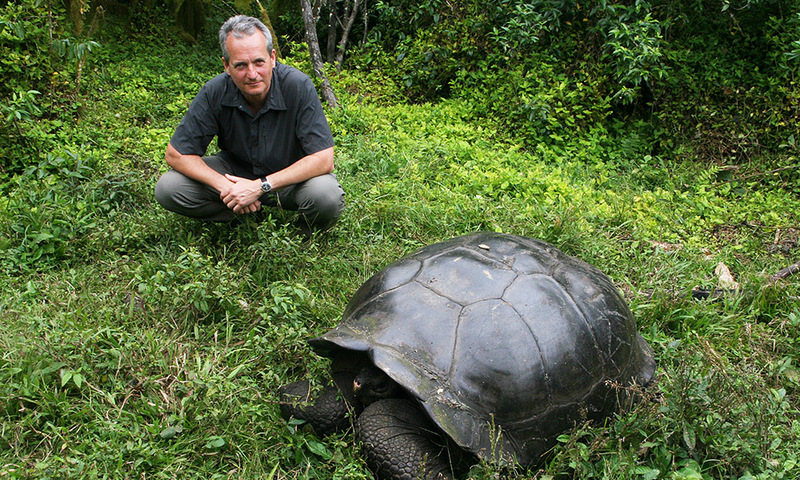 One of our main delivery partners in Galapagos is the Charles Darwin Foundation for the Galapagos Islands (CDF), a nonprofit organisation that has been in operation for over 50 years. Since their inception in 1959, CDF has been the principal scientific advisors to the Government of Ecuador and the Galapagos National Park Directorate on conservation matters within the Archipelago. The Charles Darwin Research Station located in Puerto Ayora on the island of Santa Cruz is CDF’s primary research facility, supporting over a hundred scientists, educators, research assistants, support staff and volunteers from all over the world. CDF’s staff is 90% Ecuadorian and one of their fundamental missions is the training of young local and national talent as future scientists for the good of the Archipelago and Ecuador. 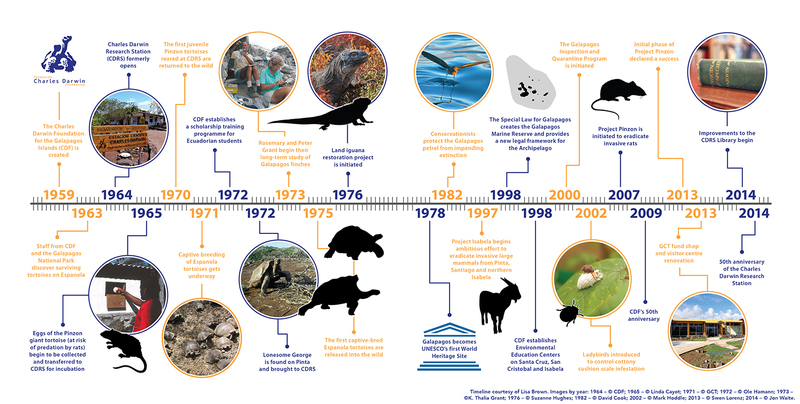 Timeline highlighting some of CDF’s successes in their first 50 years (click to enlarge). 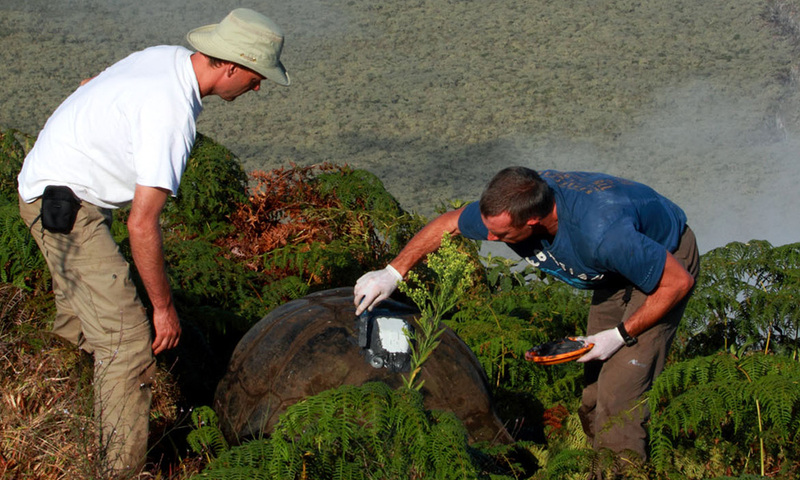 Find out about the Friends of Galapagos Organisations. 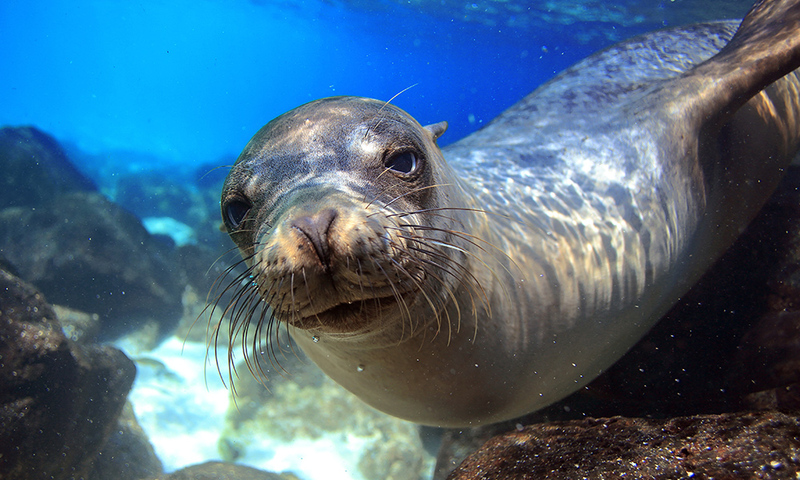 Find out how you can get involved with Galapagos conservation.